Immiaccount- What Is Immiaccount And Why You Need Immiaccount? Immiaccount- What Is Immiaccount And Why You Need Immiaccount? Immiaccount is a primary component of Australian migration that every migration agents must know of. However, information is only found when sought. Thus, a lot of migration agents along with their clients are plain unknown about it. But, since you’re here, kudos! 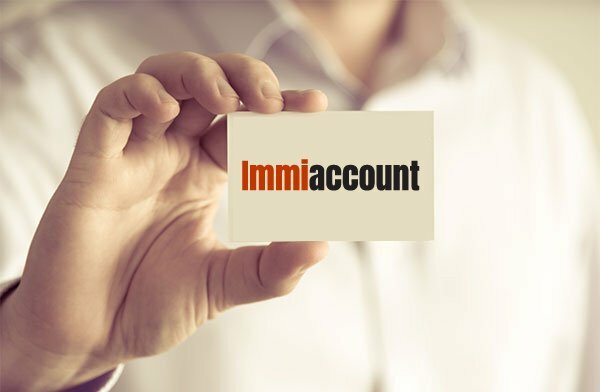 For we’re going to let you know all there is to know about Immiaccount. We trust in clear info so let’s start right from the bottom, shall we? In order to free applicants from burdensome paperwork and bureaucratic red tape, the Australian government introduced an online visa processing platform-Immiaccount. Just as agents can check the status of their clients online through CRM software, immiaccount allows applicants to check the status of their application online. They also have a choice of saving and completing it at a later date. Consequently, their time is saved calling the authorities numerous times to check the status. Simply stated, it is a direct gateway to the Australian immigration department accessible to anyone from anywhere in the world. There’s basically two types of Immiaccount- individual and organization. The former is for solo applicants, an immediate family member or a friend who can apply for a visa or citizenship. And the latter is for migration agents who are applying for a visa or citizenship on behalf of their clients. It’s really easy to get yourself an Immiaccount. You need to fill the application form that can be found at www.border.gov.au. After which, the Department of Immigration and Border Protection takes an average of five working days to process your request. Wait till to find out more of what it has to offer to migration agents like yourself. Let’s explore them one by one. Shall we? The least pleasing part about being a migration agent could be managing piles of documents. Moreover, arranging them by clients and tracing them back when required for the visa application process could be mind consuming. This is where it comes in the spotlight. You can simply scan those documents. And complete the application without actually keeping the original copies with you. However, the clients should have them safely backed up in case the authority asks for them. Remember how hectic it was to submit your clients’ visa and unknowingly wait for the process to be completed? Well, no more. Gone are the days of anxiously calling the officials to know the status of the numerous visas you were handling. With it, you’re only a click away to submit the Visa documents. And find out what stage they are in. This way you can assure your clients about their Visa and when they can expect to receive it. There are a lot of articles on how clients should not trust all migration agents. Especially when he/she guarantees their Visa on time. With it, you can be an exception. It’s not unusual for someone to make mistakes, even in official documents like Visa applications. But, the paperwork that follows thereafter will eat your time and head up. That’s why it is your savior. Submitted a wrong date of birth? Worry not! as it allows you to go back to the application and correct it making your life so much easier. Furthermore, you can notify the department of changes in passport details by completing and submitting these forms through it. There’s no eraser for mistakes in life but with Immiaccount, you have one for your visa application mistakes. LEGENDcom is an electronic database of Migration and Citizenship legislation, policy documents and much more. It gives you access to LEGENDcom which you can use effectively to provide the best information to your clients. Thus, this will ultimately boost your clients’ trust and bring in more from word-of-mouth. Migrating to a new place can be a really emotional decision for anyone. So, your clients look for the best agents to assist them in the process. With an efficient online processing system-it in place, you can expect clients to come knocking at your door. So, go on then, start your application already for an Immiaccount.